Fast on the bloody heels of the final trailer for "Logan," Fox has unleashed three new images from Hugh Jackman's purported final appearance as Wolverine. In addition, there are two previously released photos, now without watermarks. The stills of course center primarily on Logan himself. 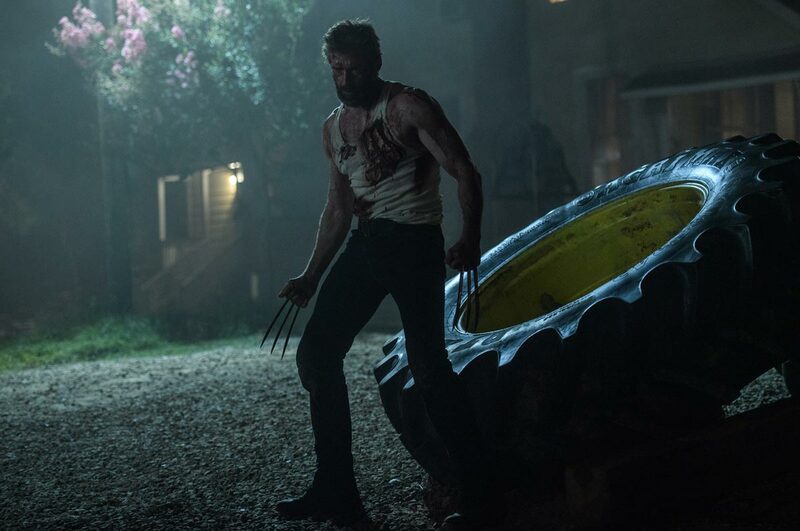 In one the blood-covered mutant stands in front of a gigantic tire with his claws out, while in another an apparently wounded Logan carries Laura Kinney (aka X-23), played by Dafne Keen. There are also shots of Logan staring into the distance and facing off with Boyd Holbrook’s Donald Pierce, who looks to be one of the main antagonists. Directed by James Mangold, “Logan” is set in the near future, years after the epilogue of 2014’s “X-Men: Days of Future Past.” In it, a weary Logan, whose healing factor is failing, cares for an ailing Professor Xavier in a hideout on the Mexican border. But Logan’s attempts to hide from the world and his legacy are up-ended when a young mutant arrives, pursued by dark forces.